If you need the assistance of a highly reliable residential mover in your area, Affordable Moving Services LLC is the business to trust. 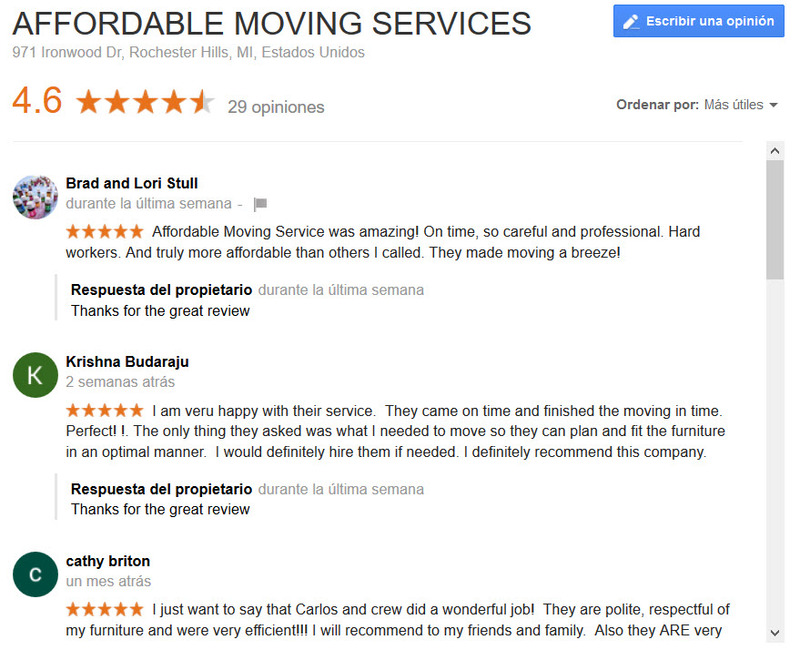 With over 85+ star reviews to show, we pride ourselves on providing the best service to our clients. 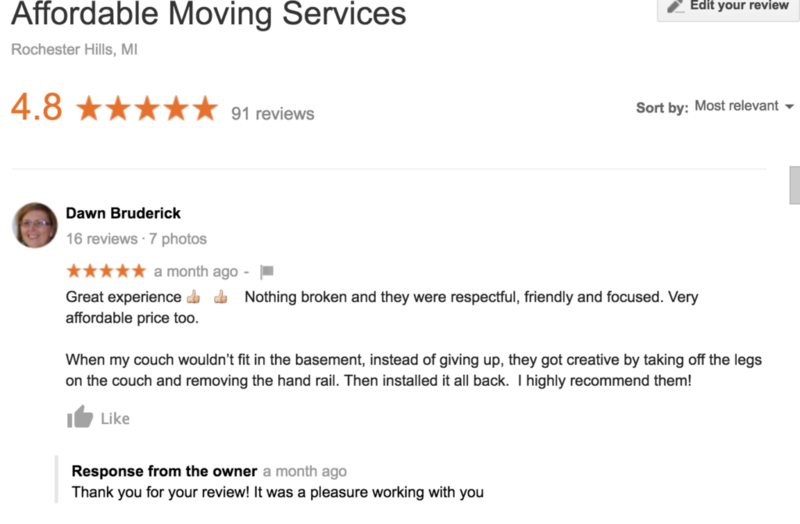 Check out our Google Page to see our reviews.